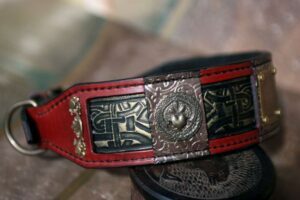 In Workshop Sauri we design both unique and standard leather dog collars, harnesses and leashes for medium sized dogs. 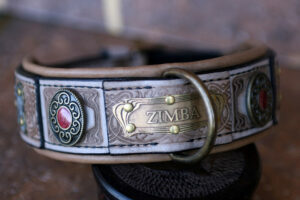 There are different dog products depending on the breed. 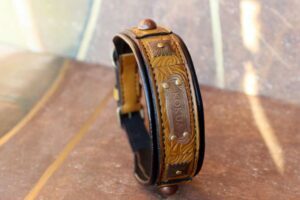 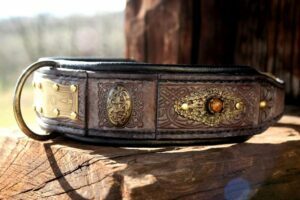 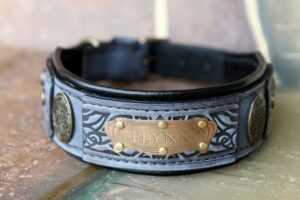 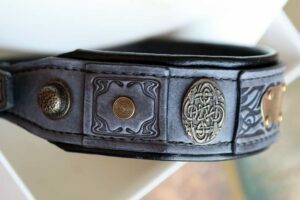 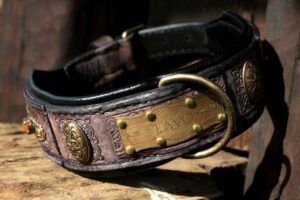 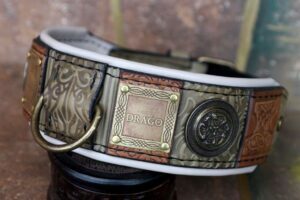 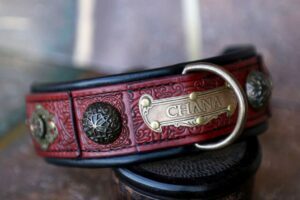 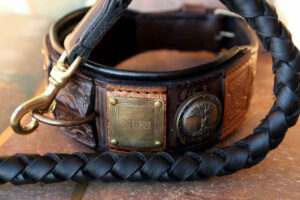 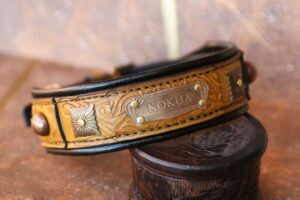 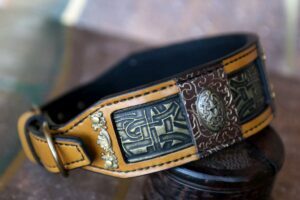 For the dogs such as Golden retriever, Labrador retriever, Greyhounds and Dobermans we design unique leather dog collars while for German shepherds, Collies, Boxers, Airedale Terriers, English bulldogs we have standard leather collars. 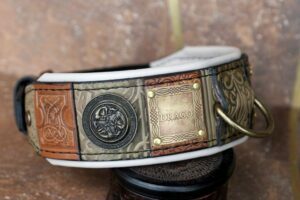 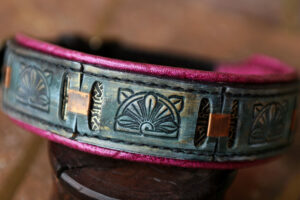 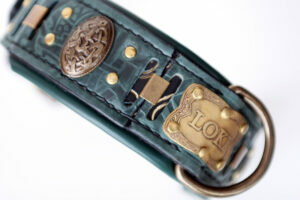 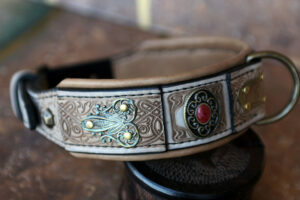 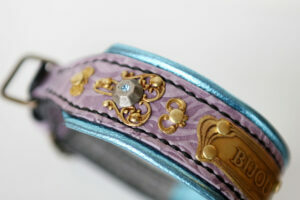 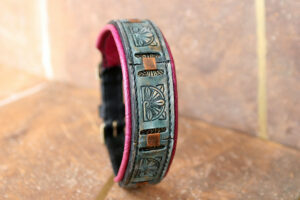 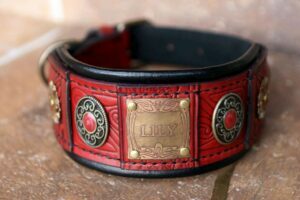 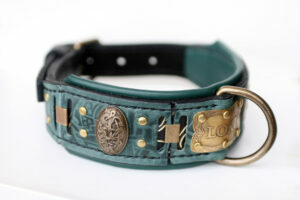 Also, we can make personalized or custom made dog collars with dog ID tags and other personalized emblems. 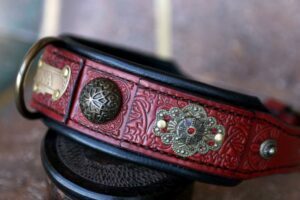 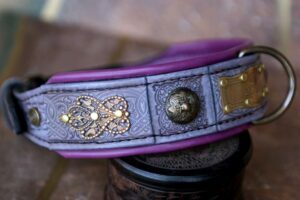 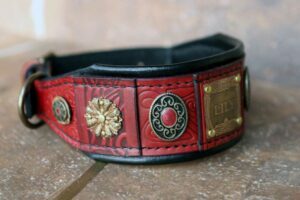 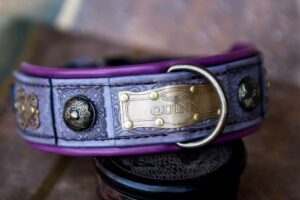 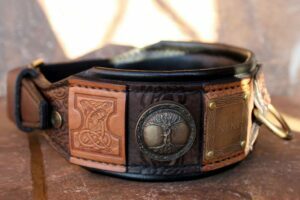 So your dog may be one of the most popular dog breeds but your darling pet will be one of a kind wearing Sauri’s hand crafted leather dog collar or leash.